While vlogging and YouTubing changed the way of earning money and also becoming popular, there are in fact more and more evolutions in the field that you may witness. Women these days are earning a considerable amount of money by filming themselves eating a large amount of money by eating a massive amount of food in front of their cameras. While turning a bizarre social eating trend into profitable careers these women hogging foods enough to feed a family in one sitting and minting money. 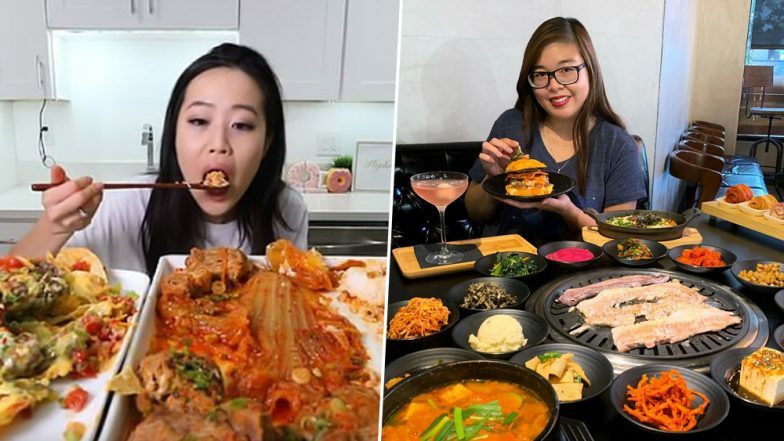 The bizarre Korean craze called mukbang wherein women are getting lots of views on their videos of binge eating. This, in turn, causes them to get advertisers and people offering donations. Many of the Australian women are also trying this new trend out while there are thousands of women who are already earning off this unique style. People like Tannar Eacott rake up more than 500,000 views on a video of her eating KFC.